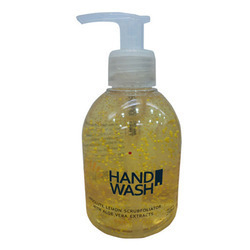 Our organization is counted among the recognized firms engaged in offering quality assured Liquid Soap. A multi utility product. U can wash cloths, utensils, car wash, outdoor floor etc. Max neutrality in this product range. Fragrance: Aloe Vera, Jasmine, Lavender etc..
As a quality focused firm, we are engaged in offering a high quality range of Liquid Soap. We offer Liquid Soap (Wonder Fresh) to our clients. Washing hands is a habit that helps you keep healthy. Sparkle hand wash is ideal for all types of skin, protecting you from bacteria as well ashydratinghands contains proven germ fighting ingredients that kills bacterial germs on contact ph balanced and mild texture gentle enough for daily use. With an impressive growth record in this highly competitive industry, we are providing a qualitative range of Areno Liquid Soap.